MGMs fabled producer Hunt Stromberg who gave us such pictures as The Thin Man series, Pride and Prejudice, Ah, Wilderness!, returned to his independent filmmaker roots with 1943s Lady of Burlesque and for the next eight years gave us a number of nifty films we've enjoyed through the years such as Too Late for Tears, Guest in the House and Between Midnight and Dawn. Two of those films were made with director Douglas Sirk, 1946s The Strange Woman and 1947s Lured in those years before the director's tenure at Universal-International and his string of Americana-lite flicks such as Take Me to Town and acclaimed melodramas like All That Heaven Allows. 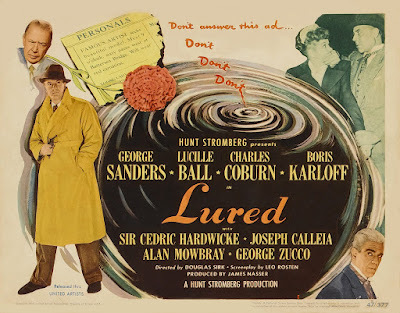 The screenplay for Lured is by Leo Rosten (Captain Newman, MD) and based on a story by Jacques Companeez and Simon Gantillon which was the basis of 1939s Pieges starring Maurice Chevalier. Lured is a tasty goulash of contemporary mystery/gothic thriller/ripper/romance. Young women are falling victim to the "Poet Killer" who mails cryptic clues to the police about the crimes. Inspector Harley Temple played by Oscar winner Charles Coburn (The More the Merrier) and his officers Alan Napier (The Uninvited) and Robert Coote (A Matter of Life and Death) diligently cover all the evidence, but it only leads them in a circle. What they need is Sherlock Holmes. What they get is taxi dancer Sandra Carpenter played by a ravishing Lucille Ball in a series of knockout day and evening dresses from Eloise Jensson. An American stranded in London after the close of a theatrical production, Sandra was friends with the latest victim of the killer and she signs on to act as bait in the case. It has been determined that the poet killer contacts his victims through the personal columns and Sandra follows up on this lead. In the course of her work she has encounters with a delusional fashion designer played by Boris Karloff (Targets), Alan Mowbray (My Darling Clementine) as a seedy butler with a criminal sideline, and Joseph Calleia (Five Came Back) as a dangerous gangster. George Zucco (The Adventures of Sherlock Holmes) plays Inspector H.R. Barrett of the Yard and is Sandra's protector. Born in Manchester in 1886, Zucco was an actor in Canada and on the Vaudeville stage, appearing with his wife Frances aka Stella Francis. The Zuccos returned to England during WWI where George enlisted in the army and wounded his right arm in France. Following the war, his acting career continued in the British film industry and on Broadway as Disraeli in Helen Haye's production of Victoria Regina in 1935. Mr. Zucco's Hollywood career saw him play in many prestigious productions such as Madame Bovary, A Woman's Face, The Secret Garden, Suez plus a number of horror and cult favourites such as The Mummy's Tomb, Dead Men Walk, The Mad Ghoul and The House of Frankenstein. George Zucco's reputation was that of a reliable actor and solid family man with an engaging sense of humour. He once referred to himself as the saddest actor in Hollywood for having to play so many nasty fellows. A stroke in the early 1950s required long-term care and Mr. Zucco passed from pneumonia in 1960. Zucco and Ms. Ball have very nice chemistry in Lured and it would have been a treat seeing them team up for another adventure. Speaking of chemistry, I did mention romance, didn't I? The romantic aspect of the picture is provided by the devilishly charming George Sanders (Call Me Madam) as Robert Fleming. Along with Cedric Hardwicke (A Connecticut Yankee in King Arthur's Court) as his business partner and friend Julian Wilde, Fleming builds and run a series of successful high-end nightclubs stocked with pretty young women. Aha, you may be thinking what the Yard is thinking and you would be correct. It is inevitable that Robert and Sandra become close. The mystery portion of our movie should not come as any great mystery to fans, but the puzzle is not the only thing that draws us to this type of film. We look for atmosphere of which Lured has plenty. The cinematographer is the great William Daniels (Winchester '73). 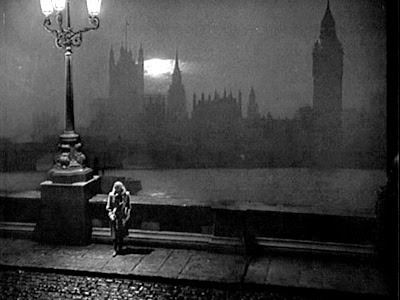 He gives us a set-bound London where the action is played out mainly at night in foggy alleyways with looming shadows and the eerie glow from streetlights. There is a marvelous game of cat and mouse as the Yard, personified by Inspector Temple, closes in on our suspect. A major delight is also the comforting familiarity of the character actors cast to play out the story. Lured is just plain fun. It is as if a group of our favourite Hollywood folks got together, rolled up their sleeves, rubbed their hands with glee and said "let's give everybody a good time". TCM is screening Lured on Saturday, August 24th at 2:00 AM (!!!) as part of Charles Coburn Day for Summer Under the Stars. Maybe next year we'll get a George Zucco Day. I have never heard of this film, but I am certainly going to set my DVR. It sounds like a terrific watch. I figure George Sanders will wind up the "bad guy," but, who knows, I may end up surprised. I don't remember the name of the film, but a year or so ago, I caught Lucille Ball in another noir-type flick. Since I am so used to her as Lucy Ricardo, I was surprised to discover that she had some dramatic chops as well. Thanks for the heads-up about this interesting-sounding movie. I imagine the other movie you saw was "The Dark Corner". Mark Stevens was the leading man and Clifton Webb and William Bendix were also involved. I found out that my mom used to have a thing for Mark Stevens way back when. Classic movies certainly dredge up a lot of surprising things. Ah, yes, that was it. Now that you mention it, I remember that the film had Mark Stevens and Clifton Webb in it. How funny about your mom and Mark Stevens. I shudder to think what my daughter will one day tell my grandkids...something like, "Your grandma was in love with over a dozen guys---all of them dead!" Charles Coburn was one of the stars I picked for the SUTS Blogathon because I wanted to pick one star I knew nothing about. This movie sounds good, especially with Lucy in it, but I don't think I can stay up that late! Patti, I don't even want to think about the tell-all books our kids might write! LOL. Rich, TCMs scheduling sometimes leaves me baffled. I know they have to fill the whole 24 hours, but two o'clock in the morning for such a dandy picture only works for insomniacs. PS: They really should check with me first! Duly noted. Sounds swell. Plot reminds me a little of a radio program with Lucille Ball -- maybe a guest on "Suspense"? Thanks for the heads-up. I'll look forward to it. Love the idea of Coburn as a cop, and so glad he's getting his own day on TCM. Caftan Woman, I must admit that when I first watched LURED a couple of years back, I thought it was OK but not amazing -- but what a difference a couple of years makes! :-) It grew on me (no, not like a fungus :-)), and it's since become a favorite, with that practically all-star cast and its combination of suspense and quirkiness! LURED is also a swell double-feature with THE DARK CORNER, which I gushed about over at TALES OF THE EASILY DISTRACTED some time ago. Fun Fact: Lucy and cinamatographer William Daniels (who also won an Oscar for THE NAKED CITY) worked together for years on I LOVE LUCY and other Desilu Productions. I've already marked LURED on my calender! Great choice, C.W.! JTL, it's really a perfect movie for a dark, chilly day accompanied by a mug of cocoa maybe spiced with something extra. But, if they want to run it during the dog days of summer, who am I to ignore "Lured"? Dorian, I must say my relationship with "Lured" mirrors yours. I first thought it was "OK", but then couldn't get it out of my mind and came to an appreciation of all the elements. I had no idea that Daniels worked on "I Love Lucy". Shame on me as I'm a fan of both. Yes! An "all-star cast" that's right up our alley. CW - thanks for picking this very interesting film. It really does stay with you, doesn't it? I am growing to love George Sanders more and more with each passing day ( I know, I should have been enchanted from the start), so what's not to like? FlickChick, I'm with you on the George Sanders bandwagon. Whether it's "The Saint" or "Shere Khan", he is so suave. Toot away, Dorian. I loved that piece and actually gasped when I read Roger Delgado's name. Gasped! CW, you had me with "tasty goulash" and Poet Killer. This movie sounds like a lot of fun and definitely a different genre for Sirk. 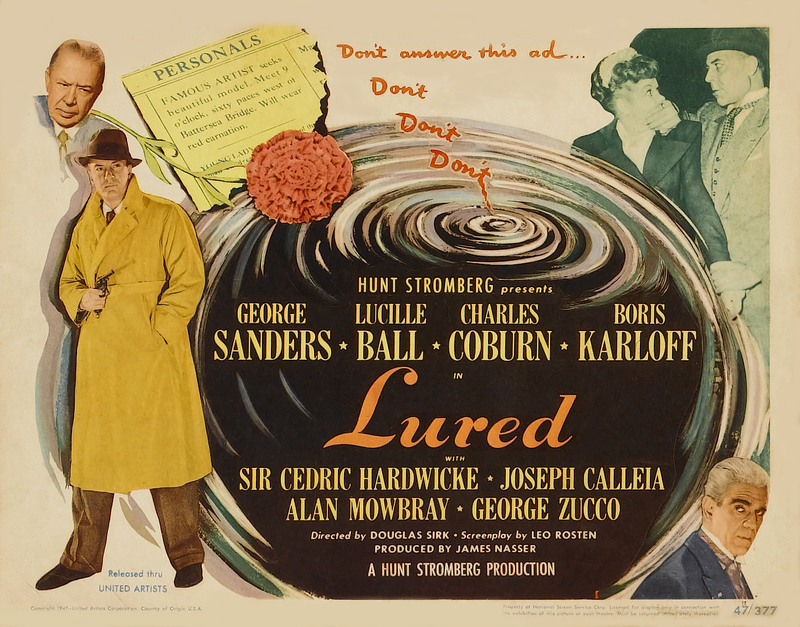 I always enjoy the two George's (Zucco and Sanders), so I will certainly check out LURED this month.
" ... the devilishly charming George Sanders..." Boy is that right! I love that guy, and any movie with him is worth watching. I no longer have cable, so of course no TCM (GASP SOB), but I'm just sure I saw that this full movie is on YouTube! I'm going to grab it! Good piece, Woman! Yes, indeedy. Fun is the optimum word when watching "Lured". No matter what time they want to air it. Hang in there, Dorian. With a new Doctor coming our way there will be plenty of excitement. Becky, I will think of you sighing over Sanders. He's at his best here, but then when is he not? Thanks so much for stopping by and leaving condolences on the loss of my sweet Nikki dog. The prayers and warm thoughts of friends have been comforting. One of the few Boris Karloff films I have never seen. I'll stand by for its showing later this month. Boris' bit is one of the highlights of the movie, Kevin. George Sanders really is devilishly charming, isn't he? He can make all the difference in a movie. So, so excited to see Lured now and my DVR is set. There really are a couple of hands full of films that I think. "I wish I knew about this one"... "So glad I finally found out about this film!" Charles Coburn Day is almost here, Page. A great lineup on TCM. I do think you will get a great kick out of "Lured". Thanks for the tip and the link, Dorian. Don't know how I missed that post. Fritzi, you crack me up. What a sly way to interest folks in "Lured"! I've never seen this either but I am definitely intrigued. LOVE George Zucco even if most of the time he was sinister to the extreme. :) He remains one of my very favorite 'bad guys' on film. 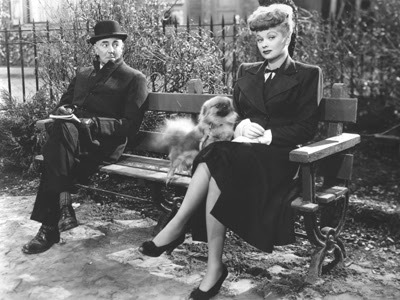 I'd always liked Lucille Ball in FIVE CAME BACK - one of my all time favorite airplane thrillers. Can't wait to see her in this. Adding it to my list. P.S. Just found the full movie on youtube. Hooray! I'll be watching after the ball game.